Have a look above and you’ll see that singer/songwriter Dan Croll‘s recent press photo is much more serious than the one we’ve used for him in the past. His expression is now slightly drawn and his eyes are more knowing, maybe even a bit jaded. Make no mistake, Croll is still quite young at age 27, but the songs on his new album ‘Emerging Adulthood’, his second, center around the well-worn theme of a young adult coming of age. In this case, though, the writing seems to take a real-time approach to the matter, rather than the usual angsty, after-the-fact introspection. Musically, Croll is a crafty songwriter, known for his multi-instrumental talents and his off-kilter combination of synth pop and folk. Those basic elements haven’t changed since the 2014 release of his first album ‘Sweet Disarray’; if anything, his penchant for electronic sounds has grown with ‘Emerging Adulthood’. But his execution is still all over the shop, with a sense of constant experimentation winning out over comfortable sophistication. The album’s opening track ‘One of Us’ was previously released as a single back in 2015, and it opens the new record on a strong note. Croll interprets the idea of peer pressure with a punk style heavy guitar riff and the repeated opening lines “heard you can’t beat the rush / give in and be one of us”, while the lagging tempo and quirky electro sounds give the song a very likeable pop feel. ‘Bad Boy’ is Croll’s take on another young adult cliché, namely female attraction to the stereotypical male rebel. It’s a catchy little tune that has already become a favourite track on Sirius XM Alt Nation here in America as well has having been featured as our own Video of the Moment #2377. The song’s subject matter and simple musical arrangement are instantly relatable, and Croll’s vocal melodies are easy-on-the ear, despite a hint of lyrical bitterness for all the self-proclaimed “nice guys” out there. ‘Away from Today’ is more substantial both in texture and tone color, with brass and additional percussion adding interest and drama under Croll’s softly diffuse voals and minor-key vocal melody. The anticipatory drama of the music is matched by the natural scenery featured in the song’s promo video, where we see Croll running great distances through forests, among ancient ruins, and along rocky seashores, only to come face-to-face with himself in the end. The sweeping track ‘Tokyo’ ends the album on a high note, starting with the rather clever pentatonic tinge in its opening piano melody. The song’s lyrics deal with emotional distance, bitterness and jealousy, but its geographically-distant chorus (“no, I’ve never been to Tokyo / never made my inhibitions known / don’t look kindly on the things you do / from my enigmatic point of view”) is equal parts quirky and catchy. Despite its moments of brilliance, ‘Emerging Adulthood’ is plagued overall by what might be called growing pains. For every mildly clever lyric or musical gesture, there’s an equally awkward one to match it. The overarching concept is interesting, but the songs come across as a bit superficial in their emotion, and their musical settings feel somehow removed or overly-contrived. That said, the album’s stronger tracks are highly enjoyable and worthy of inclusion on the inevitable “best-of-summer” playlists that will begin cropping up in the next few weeks. 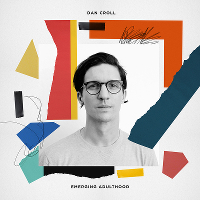 ‘Emerging Adulthood’, the second album from Dan Croll, is out now on Communion Music. Croll will play a run of live shows in America this September; you can find those dates listed through here. To read through TGTF’s previous coverage of Dan Croll, follow this link.